In The Paradox of Evolution, physiologist Stephen Rothman claims to expose a major and neglected problem in Darwin’s theory of evolution, and it is a paradox: reproduction is purposeful, for living things it is one of the overarching drives, the other being survival; yet, natural selection is itself purposeless (leaving religion out of this). So could natural selection really be the cause of the reproductive organs? Where do purposes come from? As might be expected by readers of a book that goes on a quest to interpret purposes behind natural selection, the book is riddled with quotes from religious sources, from the Talmud to theologian G. K. Chesterton. It would appear that Rothman is seeking God as a divine purpose behind natural selection and reproduction, though he doesn’t specifically say so. Why would an author seeking to refute a theory established as fact, as far as most school children and non-science majors are concerned, pepper his book with religion? It only weakens the overall argument through the structure. On the Origin of Species was published over 150 years ago and most people would presume there are no fundamental questions left to be answered or that Darwinian evolution has long ago been accepted (except in cases of religion) in classes. However, science does not stand still nor does it only look forward, assuming that the foundations upon which it currently stands are perfectly solid. The Paradox of Evolution is a rejection of a portion of Darwin’s theory of evolution that claims natural selection must give rise to reproductive features as it does to other features. Unfortunately, the flaws that Rothman sees in Darwin’s theories are ones not recognized by other biologists. As Rothman lays forward his argument and points, he does so without supporting evidence. It would be in the favor of anyone really interested in evolutionary biology to audit a class at their local university by a professor solidly familiar with Darwinism and the latest work, as well as to visit their local library and have a quick traipse through a solid science database or biological science journals that discuss reproductive systems and evolutionary trends that lay out the foundations that Rothman ignores, as well as provide the latest in solid science with raw data that has been through a rigorous peer-review process. 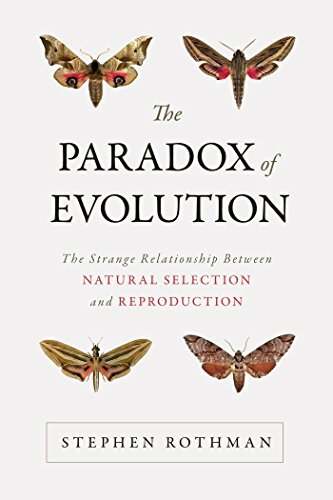 This book is a philosophical reader in the evolutionary sciences, and readers whose grasp on science is slippery at best will only be confused by the musings of Rothman. The use of scientific jargon, complex sentence structures that often hide the subject, and lots of technical terms make this book difficult to read, regardless of a reader’s scientific background. However, this professor emeritus will find many supporters of his viewpoints—if the reader can parse through the stuffily and overly academic language and syntax.